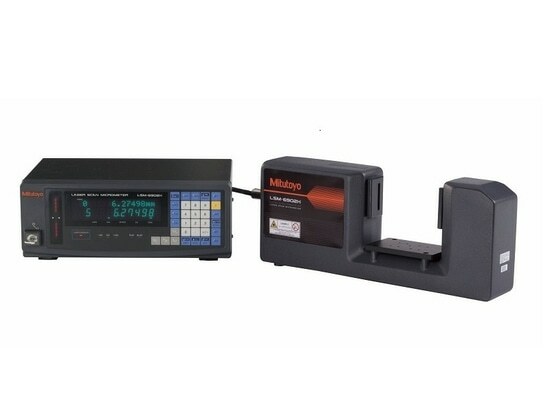 Mitutoyo America has added the LSM-6902H laser scan micrometer to its sensor systems product line. It is described as a non-contact, high-accuracy measurement system with an option for measuring pin gages or plug gages. The scanning motor in the LSM-6902H enables a measurement accuracy down to 0.3 µm with notable Gage R&R performance since measurements are non-contact. The standard output is RS-232C with analog I/O with an optional two-channel Digimatic code output unit available.